We believe that a beautiful, healthy smile is a cornerstone of healthy, happy life. If it's upkeep, restoration, or cosmetic, for yourself or your children, young or old, MYsmile's here for you. 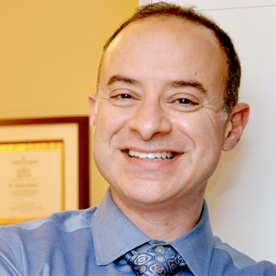 Dr. Kamel is a graduate of McGill University’s undergraduate biochemistry and graduate Dentistry programs in Montreal. He's been operating his successful private dental practice in Kanata since 1995. Twenty years after first opening his doors, Dr. Kamel still has his passion for helping others achieve not only the best oral health they can, but also healthy, beautiful smiles that leave a lasting impression. Dr. Kamel’s practice is geared towards all ages and families. Dr. Kamel has a broad range of knowledge in his practice, including a 1-year residency at the Montreal Children’s Hospital, and extensive continued education in a variety of dental specializations. Dr. Kamel consistently renews his training and skills in specialized fields such as implant surgeries, graft surgeries, and cosmetic, restorative, and sedation dentistry, among others. He's an active community member that contributes frequently to local churches, community center organizations, and local public health media. 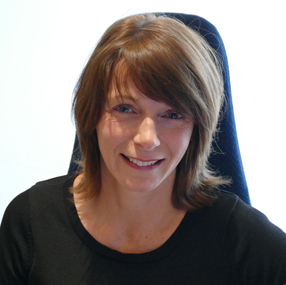 Sandra joined the MYsmile Dental team as our office manager. Sandra spent several years working in the financial field, giving her a broad range of experience. She had a strong desire to pursue a career in health care. With this in mind, Sandra studied at Career Canada College, where she graduated as a Certified Dental Assistant with Honours in 1992. After several years as a dental assistant Sandra’s leadership skills steered her towards Practice Management. This enabled her to mentor dentists and there staff, guiding them in making decisions to improve their patient experience. Our office has grown and our team has bonded thanks to her positive, outgoing attitude and her ability to see the big picture. Sandra makes that our patients have an unforgettable dental visit, offering first-class patient care. In her leisure time, Sandra enjoys relaxing at the cottage and traveling with her husband and two children. It was as though I was born into the dental field. I grew up in Belleville Ontario where my mother worked at the dental practice owned by my father, who was a Dentist. I had a successful seven-year career as an esthetician in both Belleville and Kanata. I loved my work at the spa but after moving to Kanata, I decided to pursue my real calling. I enrolled immediately at Everest College in Ottawa where I earned my certification as a Level II Dental Assistant. I graduated with honors in January 2010. Shortly after graduating I was fortunate enough to join Dr. Kamel and the team at Mysmile Dental. I continued to improve my skills and wanted to explore dental surgery. I obtained a job with one of Ottawa’s top surgeons but found myself missing my home at Mysmile and returned to a great team of individuals. I am continually training to stay up-to-date on new treatments and procedures, so that I can offer our patients the best possible care. I am a member of the Ontario Dental Assistants Association and always strive to provide the most outstanding quality of care. Janice attended Career Canada College and graduated from the Dental Assisting program in 2001. Since then, she's been working in the field as a level II dental assistant (the highest level of dental assistant). Janice’s outgoing personality and caring nature helps patients feel more relaxed and comfortable when coming into our office. Her laugh is often heard throughout the office as she chat’s it up with the patients. 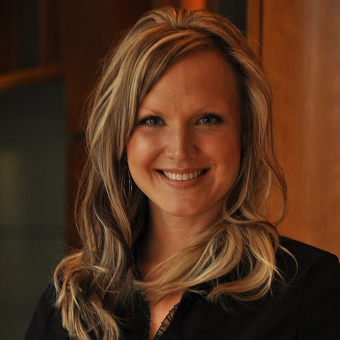 Her warm smile ensures that all of our patients feel welcome and a part of our family. Janice grew up in Vancouver, but now calls Ottawa home with her husband and three children. She loves camping, swimming, and playing the piano. Julie attended CDI College and graduated from the Dental Assisting Program in 2006 with her level II Dental Assistant Certification. She has been working in the field as a dental assistant and administrator for the past 10 years. She was excited to be asked back to her college to work as a clinical teacher’s assistant. Working hands on with the students, this time was very rewarding for her. 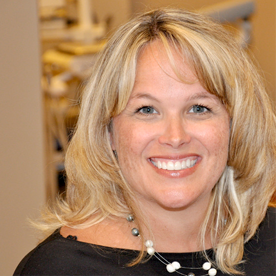 Julie has had the privilege to work in both general dentistry and specialty offices. Her outgoing personality and caring nature helps patients feel more relaxed and comfortable when coming into the office. Her hands on clinical experience not only allow her to assist if needed, but her clinical knowledge really helps her to explain the procedures to patients. Being on the front line Julie loves to have the opportunity to develop relationships with you our patients. 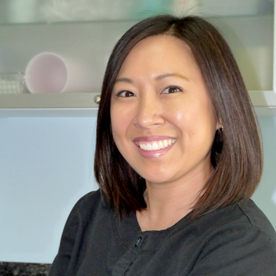 Her warm smile ensures that all of our patients feel welcome and a part of our family. In her free time, Julie enjoys spending time with her family. Camping, snowboarding and hiking area a few of the adventures activities she likes to do.